Wholesale suppliers and exporters of Mallow plant. The plant is an undershrub, branched, softly hairy and with stellate hairs, nearly in all the parts of the plant. Levels are 2.5-5 cm long cordate, ovate - oblong, crenate, obtuse or subacute and not acuminate and the petioles are 1.2-3.8 cm long. Pedicles are solitary and few together, short some up to 1.2-2 cm long bearing yellow flowers. Calyx is 6-8 mm long with ovate and acute lobes. Corolla exceed the calyx slightly. Fruit is 6-8 mm in diameter : strongly reticulated with two spiny projections on the top. 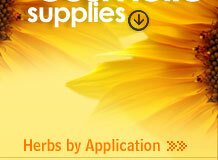 Sida Contains an alkaloid fatty oil phytoserol mucin resin , resin acids and potassium nitrate. The leaves, stem and root yield 0.085 per cent, and the seeds about 0.3 per cent alkaloid. The main portion of the alkaloid is ephedrine. Mehra P.N has reported 0.4 per cent rutin in the plant. The plant its reputed for its tonic and aphrodisiac properties. The plant parts are used for the fever, fits leucrrhonea, micturation, gonorrhea, colic, nervous discords, general for the debility and heart irregularity. The root juice is used for the healing of the wound and the juice of the whole plant is given for spermatorrhoea. The bark of the plant is effective in curing facial paralysis and sciatica and the leaves are used for curing the bloody flux. Useful in opthalamia, reheumatism; shivering fits and improves sexual strength. 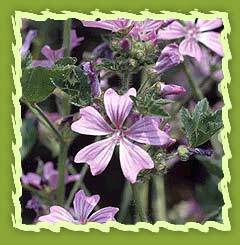 Also known as Country Mallow, this herb contains ephedrine, and is therefore used as a cardiac stimulant, diuretic, decongestant, anti-asthmatic, anti-depressant, and more. It is used traditionally in Ayurveda for a wide range of conditions, such as bleeding piles, facial paralysis, colic, tenesmus, heart disease, sexual debility, convalescence, sciatica, tinnitus, headache, chronic dyssentry, hematuria, cystitis, leucorrhea, elephantiasis, wounds, weakness, emaciation, hemiplegia, neuralgia, gonorrhea, insanity, frequent micturation, stiff neck, and external massage.